The Royal Oak Chamber of Commerce was established in 1921 and has grown to a membership of over 550 businesses, both small and large. 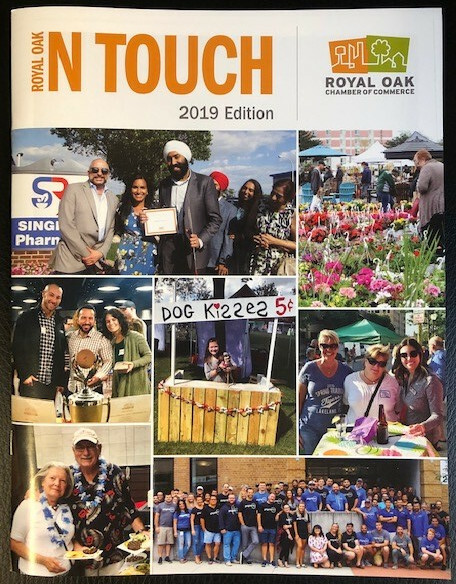 The Royal Oak Chamber is dedicated to bringing business persons, civic groups, local government, and citizens together to advance the economic, professional, cultural, and civic welfare of the community. The Chamber strives to offer needed services and member benefits that will assist all businesses in our community. I hope you find the information in this publication useful and will visit and support the many amazing businesses that make up one of the most dynamic Chambers in the area. Also, please take a moment to browse our advertisers. Their support is why we're able to produce t his beautiful directory of member businesses for the community.